Found 7 file extension associations related to DBEdit and 1 file format developed specifically for use with DBEdit. DBEdit is a database editor, suitable as front-end for all your relational databases. 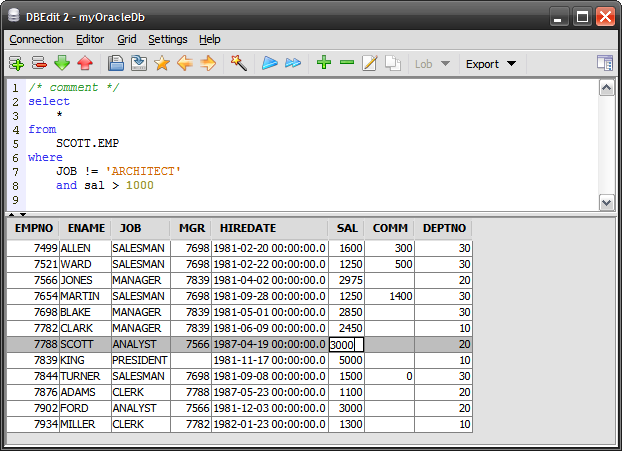 Connects to Oracle, DB2, MySQL and many other databases. If you need more information please contact the developers of DBEdit (SourceForge.net), or check out their product website.